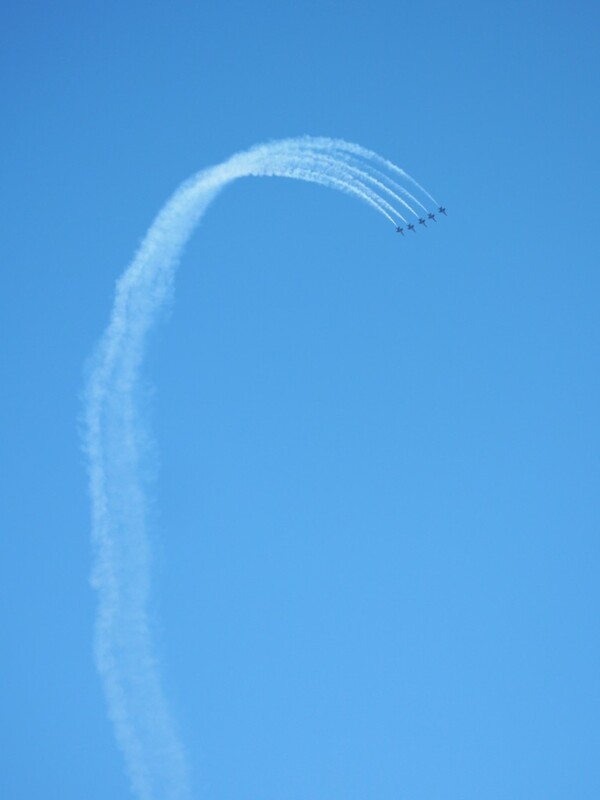 Today I watched the Fleet Week Air Show practice from Inspiration Point, a lookout in the Presidio just inside the Arguello Gate. This vantage point let me photograph the aerobatics over Alcatraz and Angel Island on one side, and over the Presidio Heights neighborhood on the other. These planes do some amazing stunts. The small planes, like the Team Oracle Biplane, will fly straight up then stall, and fall down backwards. This photo shows a convoluted path above and around Alcatraz. 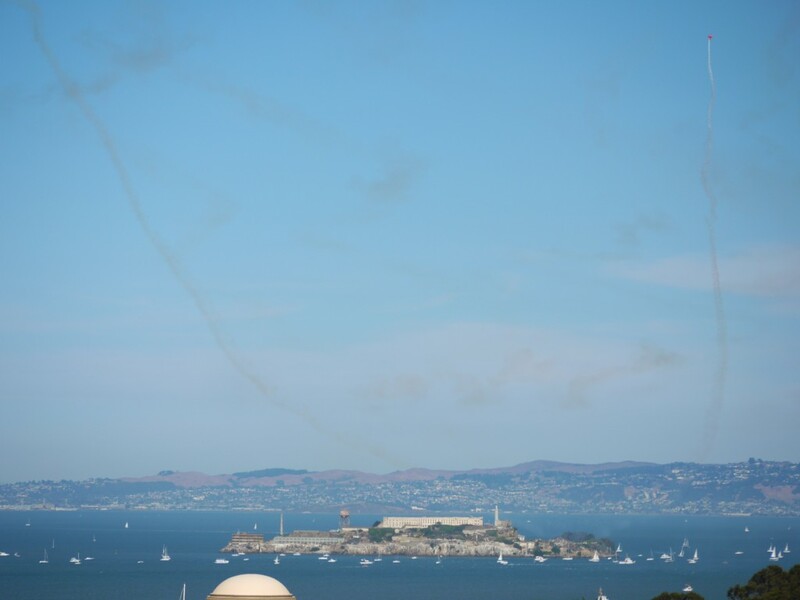 These are the Blue Angels flying above Alcatraz. Be sure that this air show takes place over a city, with the roar of jet engines reverberating off the walls of the big buildings downtown and rattling the windows of neighborhoods all across the city. It can be disorienting trying to spot the planes because the sound seems to come from everywhere and nowhere at the same time. 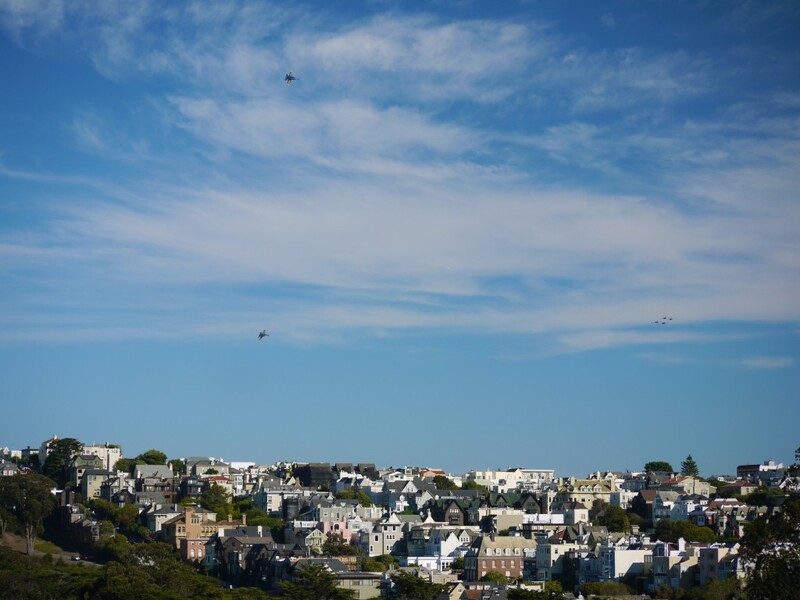 Here the Blue Angels fly over Presidio Heights. Blue Angels over Presidio Heights. 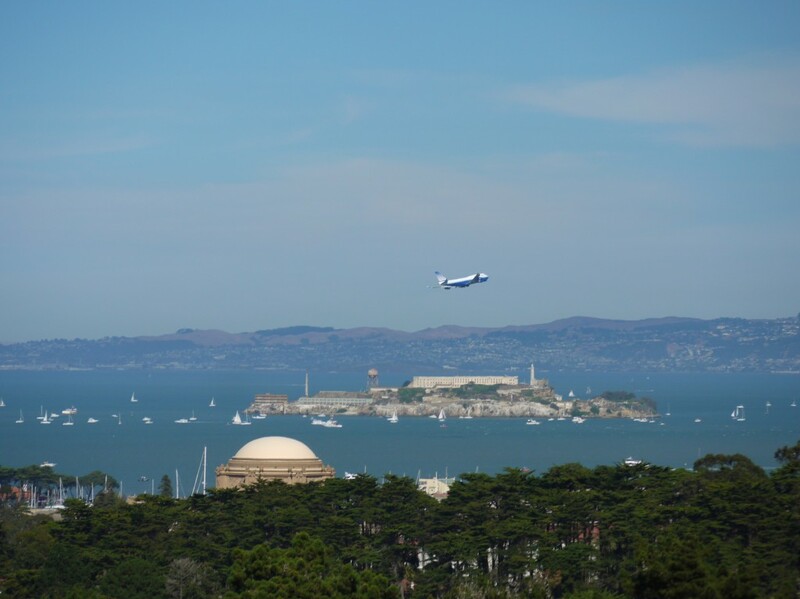 This last shot is quite striking: a United Airlines 747 buzzing Alcatraz. I’m not sure when they joined the Fleet Week air show, but it’s a little unnerving having such a big plane flying that low around the city, especially considering that the city was a potential target for the 9/11 attacks. United Airlines 747 flying over Alcatraz.